Halloo - What is an auto attendant and what are its capabilities? What is an auto attendant and what are its capabilities? Events can be single key events like “1”, “2”, “3”, or sequences like “3375” and “5721”. Timeout events fire when a certain amount of time elapses with no key press. 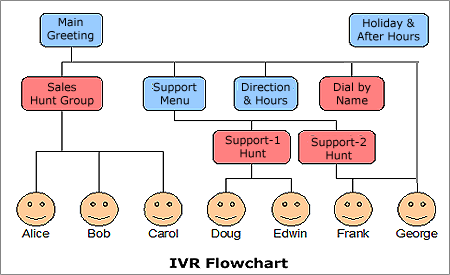 Note that the Halloo IVR system is a multilevel auto attendant, meaning that you can create arbitrarily complex sub-menus and IVR trees for advanced applications requiring dozens or even hundreds of menus.